This report investigates the role of SGBs in economic growth and the key success factors of business networks for SGBs. It also spotlights the impact of two organizations – Enablis Senegal and CEED Moldova – on SGB growth. Finally, the report outlines implications for funders, ecosystem builders, SGB-support organizations and SGBs. Impact investment assets globally represent a mere 0.2 percent of global wealth as reported by the Global Impact Investing Network. By increasing this share to just two percent, the potential of impact investments can reach over US$2 trillion (UNDP, 2016). 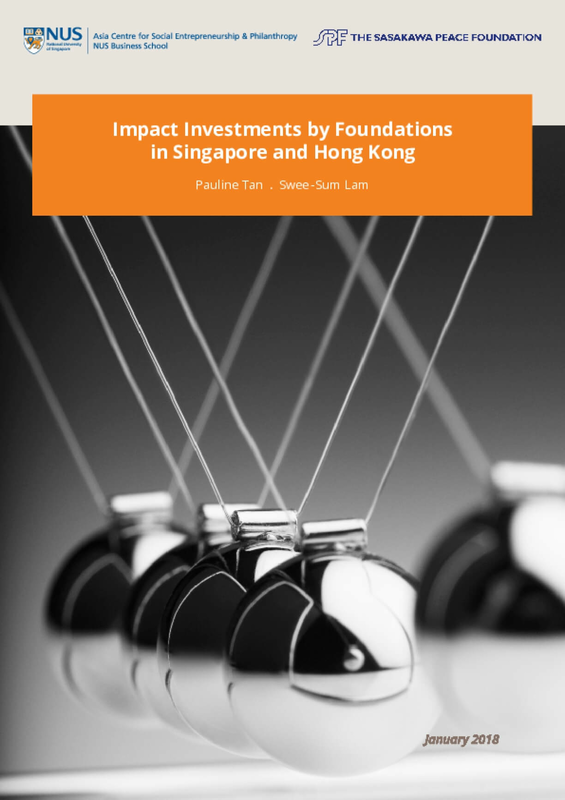 Impact investments can play a significant role in sustainable development in the Asia Pacific region, potentially providing socio- economic progress for the billions of people living in the region. Foundations in the region can potentially play a significant role given the billions of assets they can deploy. It summarizes a more comprehensive assessment undertaken in 2017 which examined the characteristics of women-led, small and growing businesses (SGBs) in Mexico. Aimed at understanding Mexico’s current entrepreneurial ecosystem and the financial and non-financial barriers facing female entrepreneurs, the assessment offered recommendations for how different actors can support women entrepreneurs. It informed the design of the Road to Women’s Business Growth project in Mexico, which uses a blended learning approach (a combination of face-to-face and online training and business development support) to support women SGB owners to become successful entrepreneurs. Impact investors seek to achieve meaningful positive change through their investments, including greatly improving the quality of life of underserved people around the world, and ensuring a sustainable and healthy planet. These investors often work in challenging environments with untested business models. 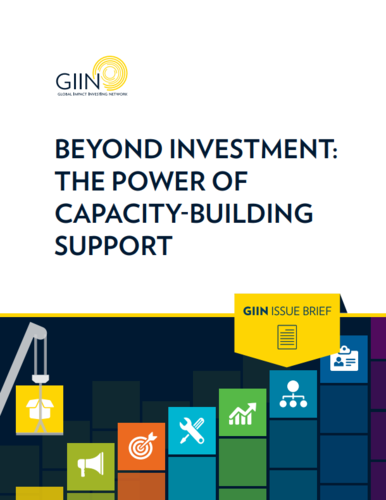 Capacity-building support, also known as technical assistance, is a vital tool used by many investors to complement their investments and expand and deepen their impact. On April 8, 2014, ANDE members and friends gathered in London at the Shell Foundation for our annual Member Meetings and Anniversary Celebration. The daytime workshop included updates from several ANDE members on current initiatives, as well as breakout sessions on women's entrepreneurship, talent development, capital aggregation, and funders' use of challenges. Many thanks to those who were able to attend this great day! We saw many familiar faces, but also lots of new ones, and are delighted at how the ANDE family has grown over the past five years. A case study on a Colombian SGBs from the New Ventures portfolio. ECOFLORA is a company that sells personal care products and household supplies developed from Colombian biodiversity and is an excellent example of an SGB with high economic, social and environmental impacts.